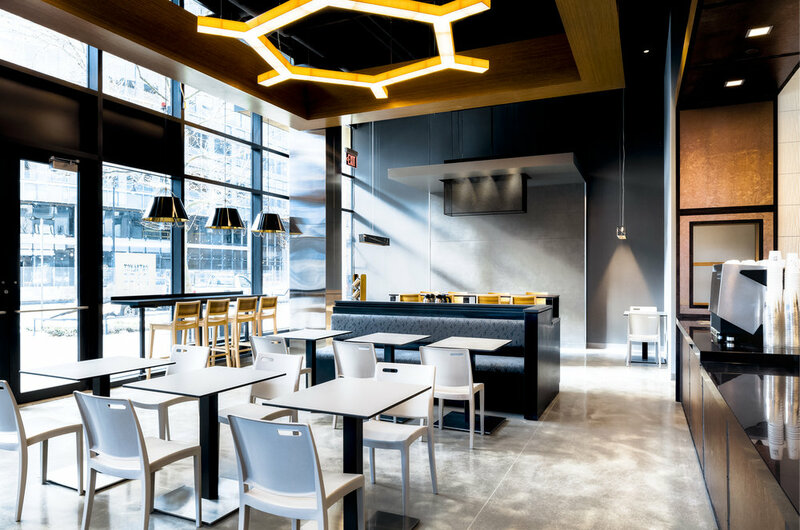 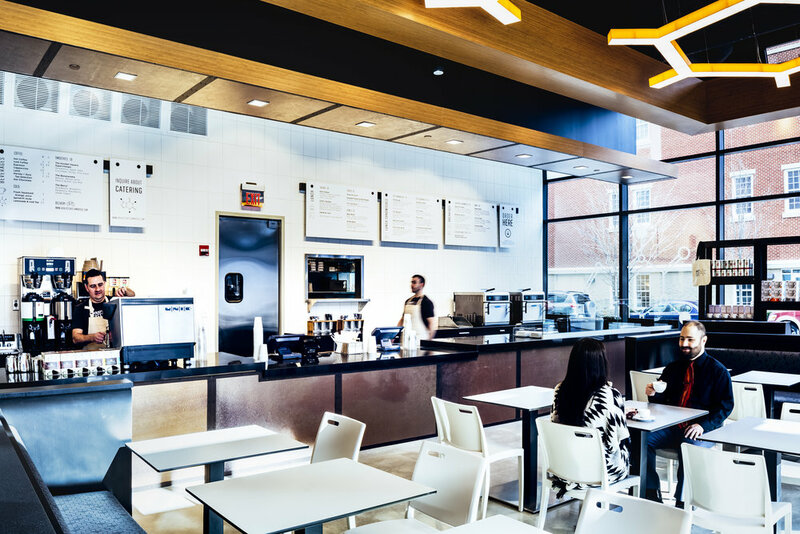 This 2,500 square foot fast-casual restaurant occupies the ground floor of the 75-125 Binney Street Project, a 386,000 square foot multi-building life sciences complex. 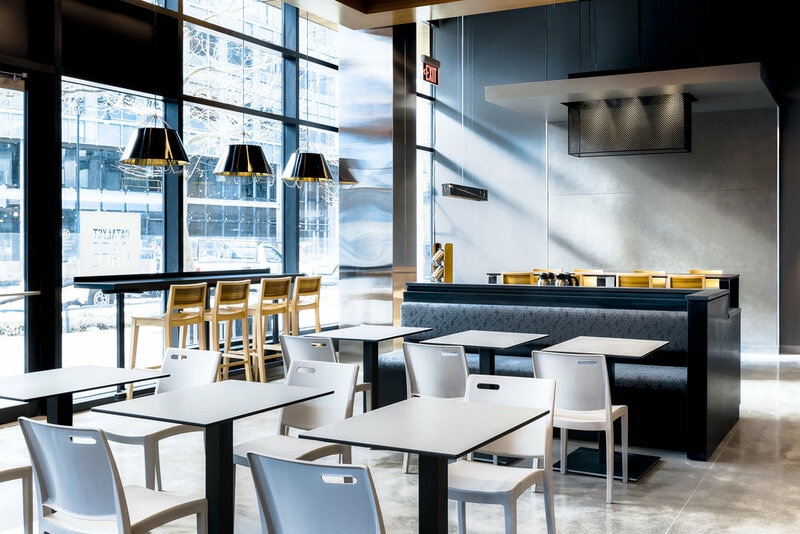 The new restaurant concept is a spin-off to Chef Kovel’s successful Catalyst Restaurant located at Technology Square Cambridge. 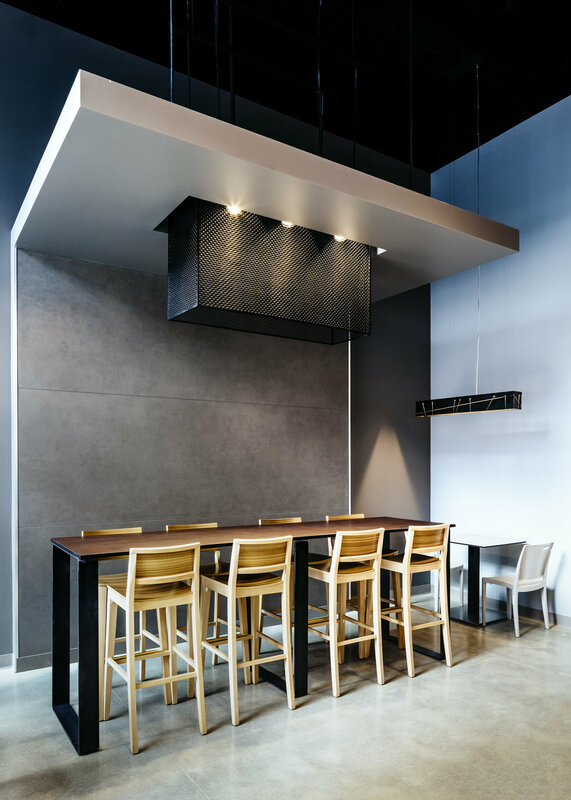 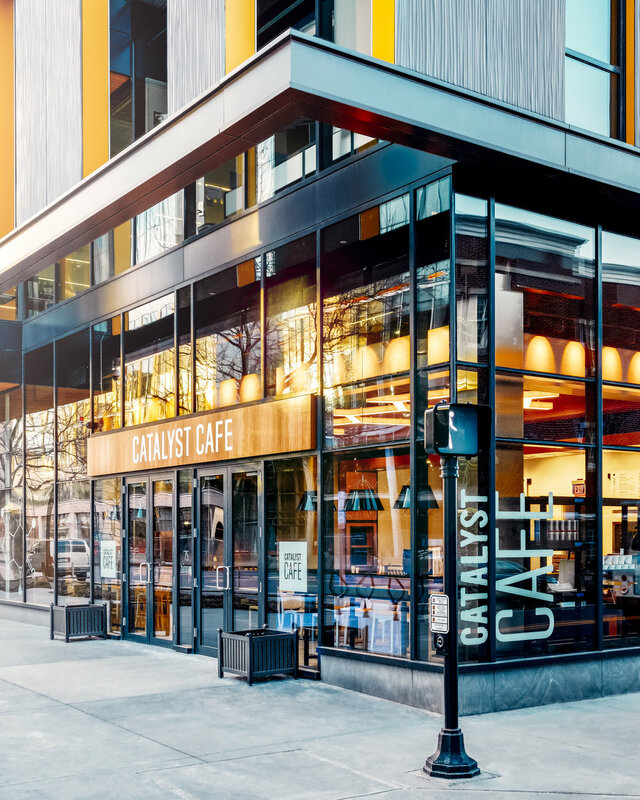 The design team utilized the fundamental concepts associated with the Catalyst brand including a warm environment with authentic materials while aiming to give Catalyst Café its own identity.